KAMPALA- Uganda female singer Samalie Karungi also known as Sheebah Karungi has said that all he wanted year 2018 was house, which as we speak, she is about to enter. 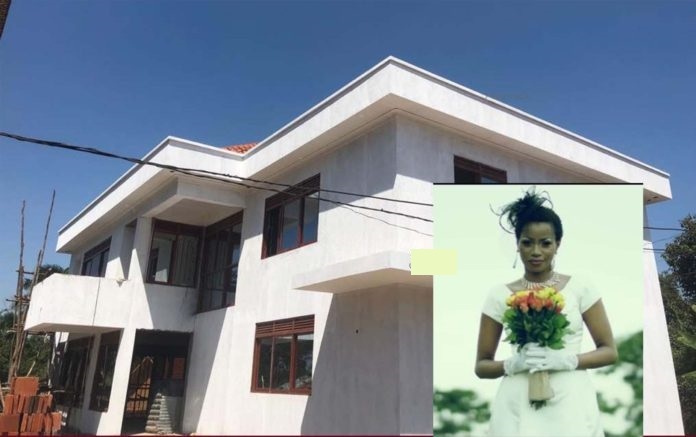 Sheebah 28 while addressing the media ahead of her forthcoming ‘Mwooyo’ concert revealed that her newly mansion in Munyonyo is in last touches and that she may enter it before this year ends. “My house is my biggest accomplishment in life; I started building it this year and Insha Allah I am going to be entering it before this year ends. It is in its final touches and after furnishing I’ll be entering it officially,” Sheebah explained. Sheebah will be hosting her Mwooyo concert this month 30th at Hotel Afriacanna in Kampala. Sheebah Karungi is a Ugandan recording artiste, dancer and actress debuting her acting career in Queen of Katwe as Shakira.